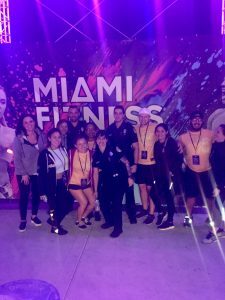 Last weekend I ventured down to Miami to volunteer at Wodapalooza, the Festival of Fitness. As far as CrossFit events go, this is one of the bigger venues. 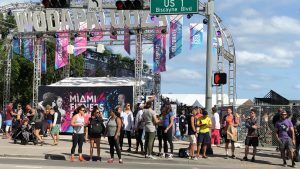 Taking up all of Bayfront Park in Downtown, Miami, Florida, this 4-day sporting event provides an opportunity for all levels and abilities to compete on an international stage. Everyone from Elite to adaptive athletes competed for prizes including a hefty purse. 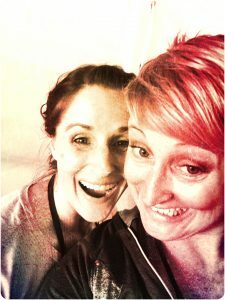 I’ve been a member of the CrossFit community and a coach for over 7 years. I have volunteered at local, Regional and Games levels and I have to say looking back at this event, it was the most inclusive of the broadest range of its members. It also felt like the longest and most challenging volunteering I’ve done for a CrossFit event. At the end of each day, I only wanted to take off my sneakers and sleep. For most volunteers, our day started at 6 am, meaning we had to be on site ready to go by 6 am. With periodic breaks during the day, you went back to your hotel or home around 8:30 pm if you were lucky. Team leads were there earlier and stayed later. Although the hours are long, we do get some great perks, like free meals, and gear. However, I don’t volunteer for the swag. For me, it’s an opportunity to see friends I only get to see a few times a year. I also get to meet great people and make new friends. I think that is something that anyone who volunteers for one of these events has to understand. It’s hard work but can be rewarding. Behind the scenes, I felt it was way more chaotic than the attendees would ever know. That being said, I don’t know of any other event that runs on multiple stages, simultaneously, for well over 500 participants, short of the Olympics or the CrossFit games and ran as smoothly as it did. Wodapalooza started by Peak 360 CrossFit as a local competition. 7 years later it has spawned into one of the largest box-run competitions in the world. Title sponsors included Romwod, FitAid, and Progenex to name a few, and it draws big-name CrossFit athletes and announcers from Sam Dancer and Chyna Cho to Tommy Marquez and Dylan Malitsky. This competition had the feeling of the original Regionals, the definite festival feel. Tons of vendors and a pop-up tent village for the athletes. With it being a local competition the athletes were not sequestered as they typically are at Regionals and the Games. Fans had ample opportunities to stop their favorite athletes and get photos or have a chat. Tickets were available for purchase the whole weekend. Access ranged from a day pass at $60 to a VIP 3-day floor ticket which would set you back $850 per person and those are limited to 20 lucky individuals. I’m not sure how many people attended the event but I can tell you it was a lot! 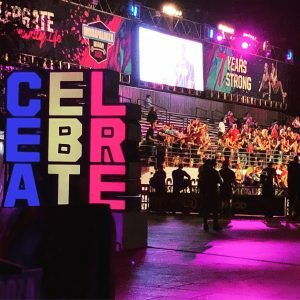 With CrossFit being so popular it is nice to see a competition like this that is promoting community and the love of fitness. If you are looking for a CrossFit competition to enter or travel to, look no further. Next year’s dates will be announced soon. I’m sure I’ll be back next year. Until next time.